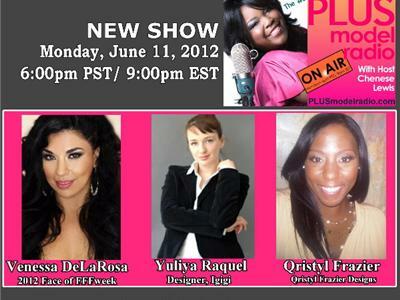 On the next PLUS Model Radio Chenese interviews the 2012 Face of Full Figured Fashion Week, Venessa DeLaRosa. Yuliya Raquel of Igigi tells us the latest about her plus clothing line. And we get the inside scoop from plus designer Qristyl Frazier about her upcoming model search and fashion show!